We’re probably at our peak of flexibility in our teen years. My 15 year old Great nephew Matt attests to that as he is able to hit a golf ball about 300 yards without breaking a sweat. He’s a tall kid–runs in the family–but not especially muscular, though he does work out regularly and his body fat quotient is just about zero. What Matt does is get his back to face the target at the top of his backswing without breaking the connection of his arms and hands with his core. As we age, that becomes more difficult to do unless we are under a trainer’s eye. Having just reached 70, I do work on my flexibility in the gym, but still, I can’t come close to what Matt does with his swing. His instructor, by the way, is PGA teaching pro John Donegan who, up until recently, has been Sean O’Hair’s coach. For one, I decreased my core rotation on the backswing, redefining the top of the swing as the point where my head did not move from its position at address. For me that meant a nearly half or three-quarter looking swing. With a shift of weight to the inside of my right foot, there is still a natural rotation of the torso, but only within the limits of the stability of my head. This is critical with every club in the bag, except, of course, the putter (although head stability is vital here as well). Even the longest, most difficult to control club, the driver, can be swung like this, for the key with the driver swing is making square and solid contact with the ball. And with the iron swing, the solid contact results in proper compression of the ball against the club face vis a vis the turf. That’s why a pro’s swing looks so effortless through impact. 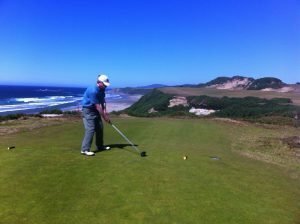 Modern clubs, miracles though they may be, still need you to make solid contact on the sweet spot, just as I had to strike a blade in 1960 when I started playing. And when I struck that blade accurately, I had the same feeling as I do now with my cavity-back, perimeter weighted irons. Check out Susann Peterson’s backswing for an example of how little rotation is needed for a solid, energy-efficient swing. Another example is the great ball striker, the late Mo Norman. And Jason Dufner is yet another example of achieving perfect compression and reasonable distance with limited rotation and a short backswing. The other element the backswing requires is a straight left arm. Other than Calvin Peete, every pro since Harry Vardon exhibited this, the straighter, the better. Older golfers sometimes break the arm slightly at the top–and that’s fine–but at impact it must be measured as it was at address. Rory demonstrates this perfectly, even stiffening the arm as a forward press move to trigger his powerful and rhythmic swing. Now with age, the forward arm often balks at forcing it to straighten–and force it you must because of that pesky elbow in the middle. So the answer is to shorten the whole backswing deal. Now some of you might think that to shorten the swing is to decrease the distance the ball travels, and the club manufacturers have thoroughly conditioned us to believe that more distance is better. My own experience tells me accuracy is better with this game, especially when score is paramount. Accuracy doesn’t pump up the ego as much, but if you’re just off the fringe with your approach, you still have a chance at saving par with a good chip and putt. If you’re in the long grass, trap, or woods next the green, you have much rougher sailing to make par, and for an amateur, making par, with an occasional birdie, is all we need to feel good about our game. So, at the moment, my backswing looks a bit like Doug Sanders back in the day, or Chi Chi Rodriguez, or Lee Trevino, or perhaps more like Bernhard Langer today. The irons are OK, especially the hybrids, maintaining the same distance as before. Accuracy and trajectory are much better as I’m striking the ball more solidly and consistently. With the driver, I’m not quite there yet, since I haven’t broken through the conditioning, so deeply instilled, that I cannot give up one inch of distance for the sake of staying out of the weeds and woods. 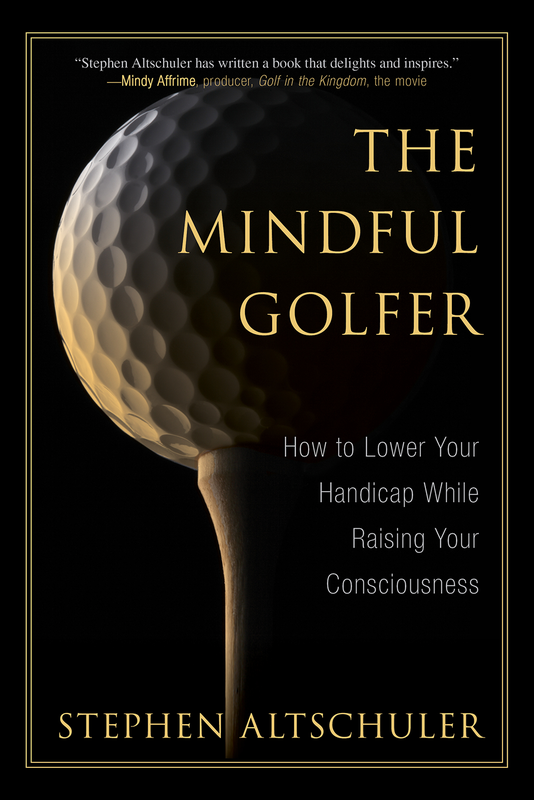 A mindful golfer must courageously crack through this kind of conditioned response, and work mainly at striking the ball squarely and in the center of the club face. No matter how much the manufacturers have us believing today’s clubs are forgiving and will do all the work to keep us long and straight, they create in our unsuspecting minds an illusion that we can get away with poor technique and swing mechanics. And today, relatively speaking, we are dealing with the same swing requirements that get us to square and solid as Old Tom Morris had to deal with. So…to summarize. Head in the same position through impact as it was at address, which makes full use of your body weight to increase swing speed. Any lateral movement of the head and swing speed leaks like a punctured tire. To compensate for our decreasing flexibility as we age, shorten the length of your backswing with less rotation and less movement at the wrist and elbow joints. At the start of the downswing, keep the head steady slightly behind the ball. This allows the hips to rotate and make way for the arms and hands to do their job, namely swinging through and beyond the ball, with the club face square and pointing to the target. People on the range may snicker at your telephone booth (remember them?) swing, but may then walk away in awe and admiration when they see the results.